“I remember doing this activity in art at school” I told my kids. I have such fond memories of that art room at my primary school, back when I didn’t care if I could make art that was ‘good enough’, back when it was just fun to explore, and glue, and draw, and paint, and create. I know my big kids have the same sort of memories about their school’s art room, and their wonderful art teacher, and I hope they hold on to them for a long time to come. 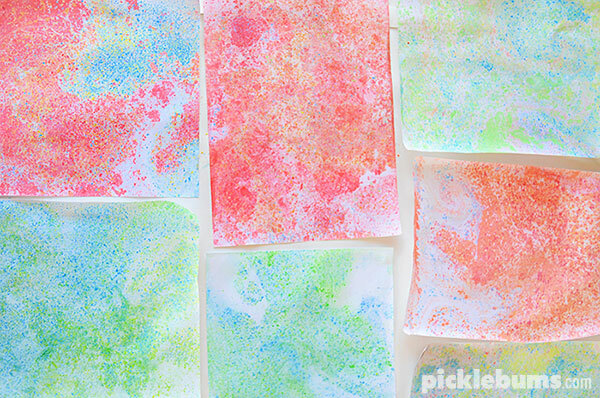 You have to try these easy, yet magical, floating chalk prints! 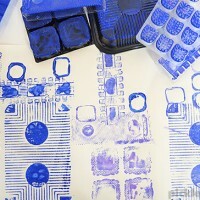 The technique for this printing activity couldn’t be more simple, yet the results are totally amazing! Some chalk pastels or regular chalk but make sure there is a lot of colour/pigment in the chalk. Some paper – we used regular A4 printer paper. 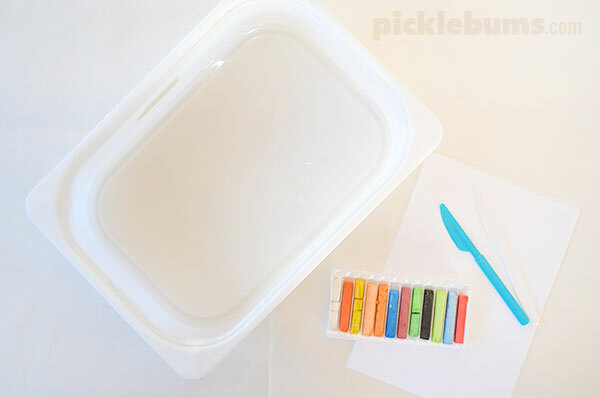 A shallow tub that the paper fits in filled with around a centimetre or two of water. 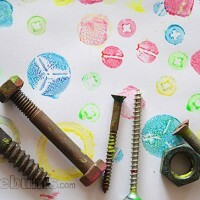 Something to scrap the chalk – we used plastic knives. Begin by filling your tub with water, it doesn’t need to be very full, just enough to cover the bottom of the tub. Now choose a chalk and carefully but firmly scrape chalk onto the the top of the water. 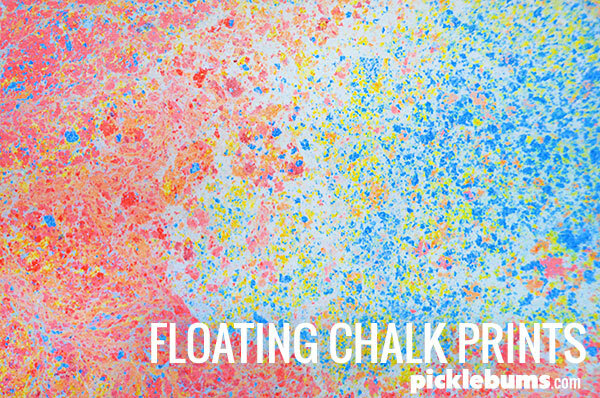 The coloured chalk dust will float on the top of the water. Add more and more colours – a little of the chalk dust might sink, that’s ok, there will still be lots floating on the top. You can use a skewer to swirl and mix the colours if you like, but be quick and gentle, you want most of the chalk to stay floating on the surface of the water, if it gets too water logged it will sink. Now take your piece of paper and gently place it onto the surface of the water. 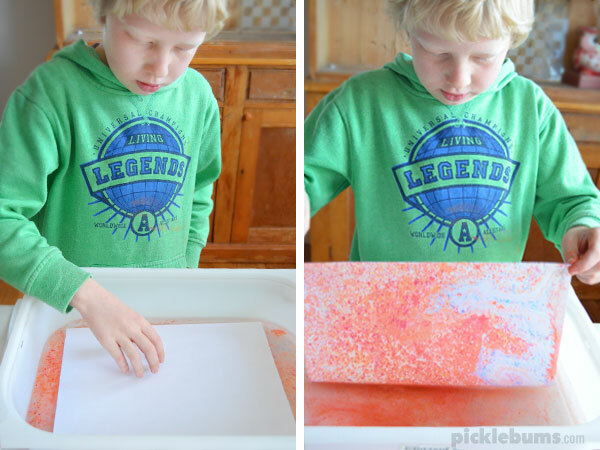 Use your finger tips to press the paper gently onto the top of the water. 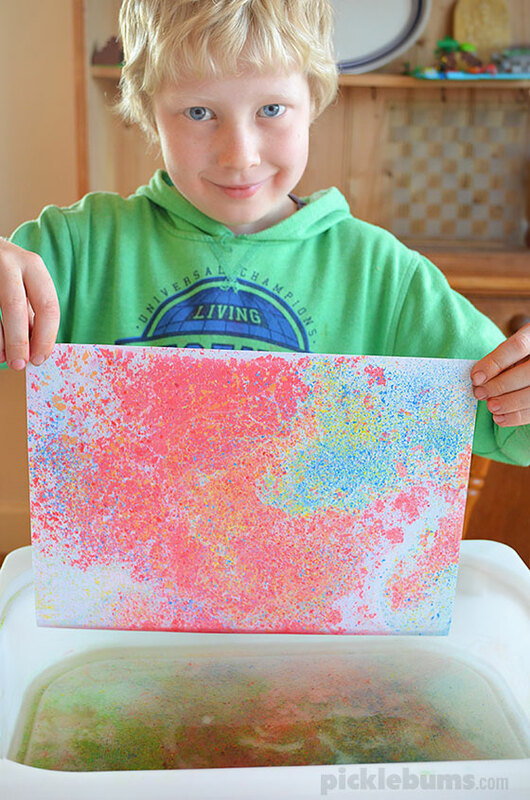 After a minute or so gently lift the paper off the top of the water to reveal your floating chalk print! Covered in speckled swirling colours, almost like marbled paper! 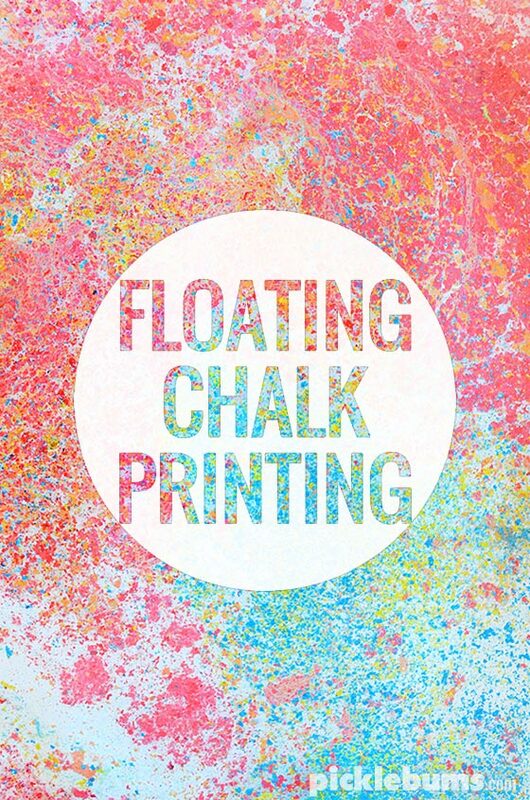 We had so much fun making these floating chalk prints. We are working on a way to make a really big print so we can frame it to hang on the wall. I wonder if we could make them in the bath??? This looks amazing! Thanks for sharing. 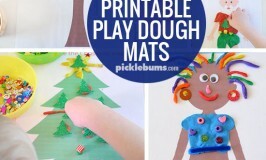 I can’t remember doing these at school but they are a great idea. I love things that can turn out so pretty but don’t cost a fortune. Some of those ones you have there I would even frame and hang in the kids playroom to brighten it up a bit. Great activity! 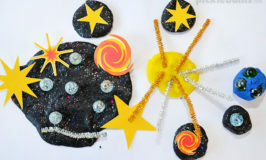 There’s something about memories of primary school art lessons, isn’t there? Thanks so much for this post- I just tripped over a pile of chalk on the deck this afternoon…. so I know what we are doing tomorrow! I know you’re in winter right now, but I bet a “baby pool” or plastic wading pool would be awesome for a large scale print. Do you think it might work with fabric… hmm I see an experiment in our future! Thanks for sharing!! Oh a paddling pool is a great idea! I’d love to hear how you go using fabric. I was surprised at how well it ‘stuck’ to the paper, I thought being chalk it might rub off. I wonder how it will go on fabric. Post a photo on my facebook page or tag me on instagram (@katepickle or #picklebums) if you have a go! Sounds like you had an awesome art teacher! I love how beautiful this comes out! How fun is this! Scraping the chalk, deciding which colors and how much to put in…love it! Thank you! We tried this today and it didn’t turn out as well as yours. Our chalk kept sinking to the bottom :(. We scraped very fine particles of chalk and we used artists chalk which is softer than chalk board chalk, maybe that made a difference? 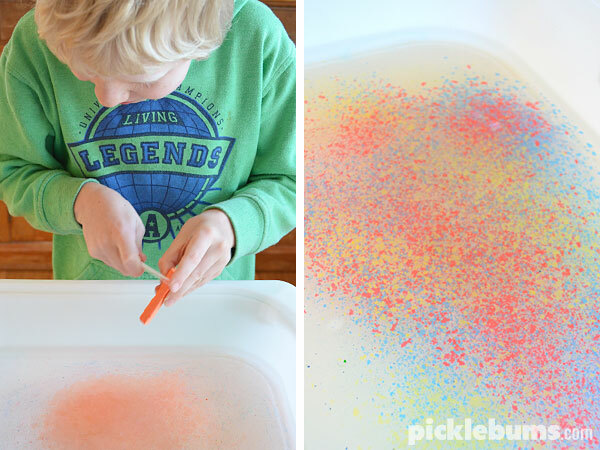 Instead of making them in the bath (!) perhaps you could collage them onto a bigger sheet! I can’t wait to do this with my grandchildren! Nana camp is around the corner! I wonder how dry poster paint would work? That is an interesting suggestion! I will have to try it! One way to make a bigger version would be to use a kid’s swimming pool! This was a lot of fun. I had my class (5/6) and our reading buddies (1/2). All the kids wanted to try it!! My only issue is what to do with it when it dries. If you touch it, it’s just chalk and it falls off or smudges… Maybe if we mix in some glue? Or find some way to coat it? Last resort would be to laminate as soon as it’s dry. But the kids looooooved it!!! You can use a fixative spray, or even hairspray works ok. 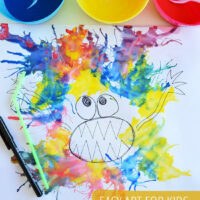 I love this art project…we always did this in the Spring using pastels with my preschoolers. We found adding a small bit of white sugar to the water prior to the chalk dust kept the dust suspended longer. Wondering if this would work on canvas instead of paper? Also wondering if you could somehow stop it from sticking to some areas so you could put other shapes or a quote onto the finished picture. Very interested in trying these. Oh those are interesting ideas! Let us know how you go if you try them!